You might have noticed recently that we've upped our game when it comes to our YouTube content. Check out our channel and you'll find video reviews of drones, e-bikes, cameras, toys, and even a straw that lets you drink dirty stream water (which we did, by God). However, if you're wanting to get into the ol' YouTube game yourself, you'll need more than just a camera. And so we review the MAGIX Movie Edit Pro Premium video editing software. MAGIX are pretty much create software giants, producing many different programmes to aid people who 'make internet stuff'. We've sampled their delights in the past, both for chopping films and music, and always found the software to be effective, easy to use, and filled with professional extras. Movie Edit Pro Premium outdoes all of them. 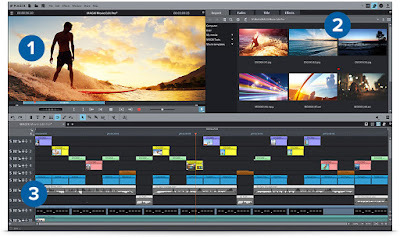 First up, it's important to note that the software package costs just £89.99, which, when compared to other leading brands who produce video editing kit for both Mac and PC, is exceptionally competitive. We've always had it in our heads that to buy at all decent software to edit a movie on your computer would set you back at least £200, and that really isn't the case any more. For that you get an intuitive programme with a user interface that makes perfect sense. You have a view screen top left, tabs to flick through import, effects, titles etc. on the top right, and the main board along the bottom half of the screen on which you lay your clips and tracks. 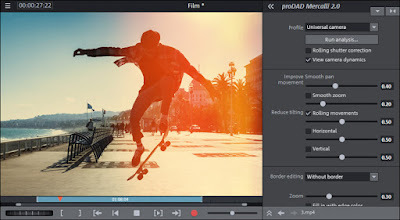 It looks very much like MAGIX Movie Edit Pro 2016 Plus, which is what we had been using previously, but the differences come in the sheer wealth of effects that can be applied to your footage. MAGIX Movie Edit Pro Premium allows you to use 99 separate tracks all at once, so if you're editing something huge and complicated, you'll still have the space. The programme is 64 bit as well, so – depending on the machine you're running it on – a lot can happen on screen at once, and everything still stays smooth. Highlights in this new version include downloadable plug-ins from various creators. One includes Vasco de Gama 9 Essentials, an animation suite featuring the details of 80,000 places on the planet, so you can zoom in and animate your travels around the globe. It's pretty gorgeous, and hugely detailed. MAGIX Movie Edit Pro Premium is also packed with pre-programmed titles (as well as the ability to download others), so you can give videos a dramatic flair that beats the 'white words slowly drifting over a black background' title, Windows Movie Maker style. There is also a pretty nifty shot match ability, whereby the exact colour, tone, and temperature of one shot can be copied to adjust another. This is a big help if you're filming outside and in one shot the sun was shining, whereas in the next it was cloudy. It adds a great deal of continuity to a scene, and perfect for those of us filming drama and narrative. The image stabilization also caught our eye, as we tend to film things first-person vlog style. Although most modern cameras and phones will feature some kind of image stabilizing effect, it isn't always great. 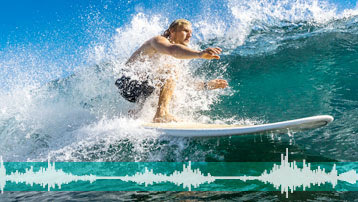 MAGIX Movie Edit Pro Premium nails it and lets you tailor the shot to focus on one particular moving object. This is a great programme that will really help add a professional tint to you videos. If you're contemplating getting some editing software, don't just go with the most well-know brand. 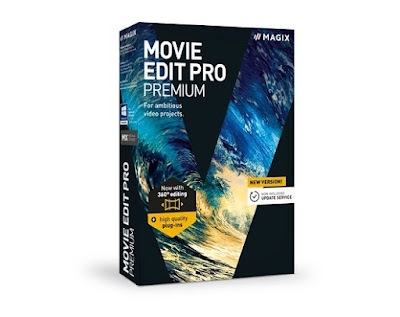 MAGIX are consistently bringing out excellent suites for creative types, and Movie Edit Pro Premium is their best yet. It's a God-damn buy.